A half-hour power outage at Samsung’s fab near Pyeongtaek, South Korea, disrupted production and damaged tens of thousands of processed wafers. Media reports claim that the outage destroyed as much as 3.5% of the global NAND supply for March, which may have an effect on flash memory pricing in the coming weeks. The outage happened on March 9 and lasted for about 30 minutes, according to a news story from Taiwain-based TechNews that cites further South Korean reports. The report claims that the outage damaged 50,000 to 60,000 of wafers with V-NAND flash memory, which represent 11% of Samsung’s monthly output. The report further estimates that the said amount equates to approximately 3.5% of global NAND output, but does not elaborate whether it means wafer output or bit output. 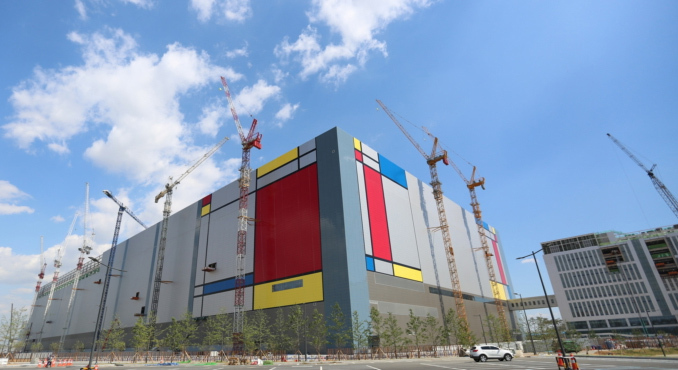 Samsung uses its fab near Pyeongtaek to produce 64-layer V-NAND chips used for various applications. The fab is among the largest flash production facilities in the world and therefore any disruption there has an effect on the global output of non-volatile memory. Meanwhile, since production lines have not been damaged and the fab is back online, the significance of such an effect is limited. Power outages tend to happen on various semiconductor plants and at times they harm production wafers. Typically, companies can deal with the situation and unless manufacturing lines get damaged, major shortages of memory never happen if problems at fabs do not occur in peak seasons when manufacturers are building up stocks of new products. According to the report, Samsung has a stockpile of NAND chips, which is expected to enable to company to fulfill its short-term shipments commitments. Samsung itself has already produced volumes of its latest Galaxy S9/S9+ smartphones it needed to support channel sales in the coming months, therefore it is not going to require massive amounts of NAND memory in the coming weeks. Meanwhile, other major consumers of NAND will start to build up inventory of memory only later this year when they start to prep for product launches in August or September. 11% of Samsung’s monthly output from a 30 minute power outage sounds really unlikely. If that was the case wouldn't they have multiple redundant battery backups? If true, the potential loses for Samsung are in the millions, I can't see the accountants signing off on a risk like that. 11% implies roughly 3.3 days to complete a wafer (80 hours if the factory is running around the clock; less if they only run 1 or 2 shifts and/or close on weekdays). If that's not a realistic number I'd expect them to be called on it by actual semi-conductor engineers (but remember the many additional layers in vnand should take longer to produce than planar chips). "UPSing/generatoring an entire factory isn't going to be cheap"
>Except you don't need to keep the entire factory operational just to make sure the shutdown is soft, without damaging anything already in production. You would only hear about something like this from Samsung. I've never heard of a FAB losing production due to a power loss in the 30+ years I've been paying attention to semiconductor production. Sure, you could say the likes of Intel would keep it hush hush out of embarrassment (because this is an embarrassment) but this is the semiconductor manufacturing equivalent of Fukushima (an embarrassment) because its completely avoidable. The difference here is this is a relatively new, state of the art fabrication plant, and Fukishima a 60's era GE BWR that had a backup generator system last updated in the 90's.